Our life has been a little crazy lately. I had to make a last minute flight to Florida for the closing of our Florida home. I left Grant with my in-laws for 4 days and decided to bring Garrett with me. Not sure if that was the best decision. The flight was long and the hours were pretty late. He was a little trooper though. I brought along a light dose of melatonin for the evening flight. 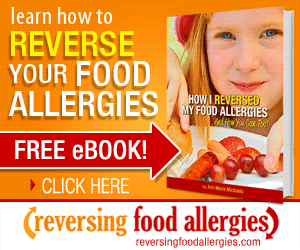 It worked great on the way there…. he slept the whole second half of the first flight. It was great. I did not have the same luck on the way back. We were both just too overtired. I am just glad it is a distant memory now! And we had a successful closing! 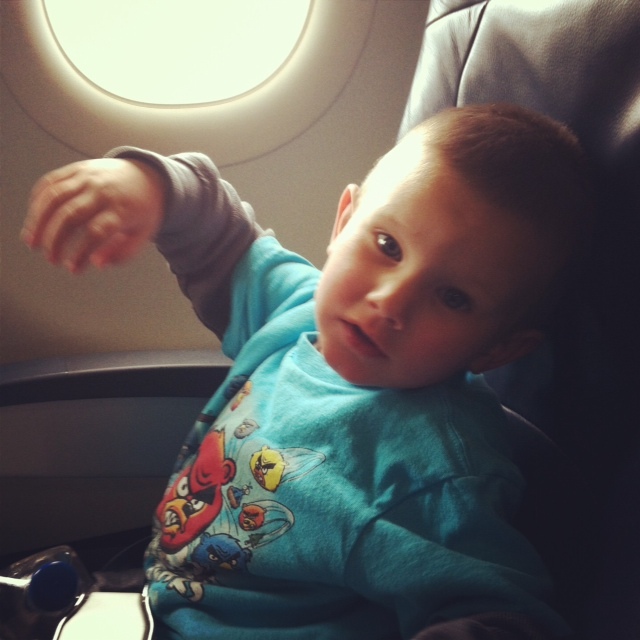 Here is my little angry bear…. his favorite shirt. 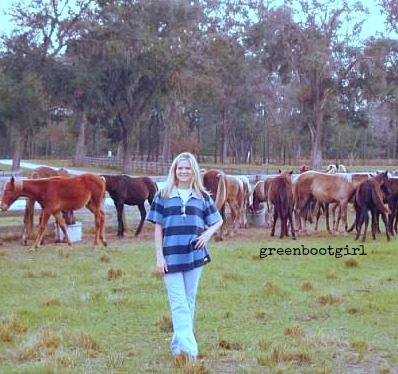 We stayed at my parents ranch… Lakeside Ranch and Resort. 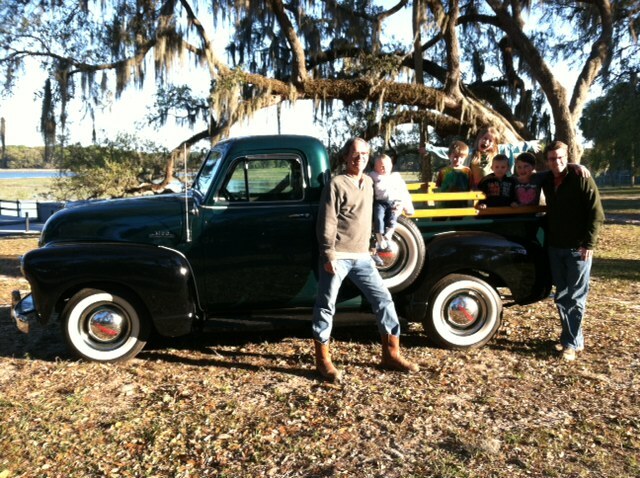 My dad bought an antique truck made in 1955… his birth year. The boys loved it. 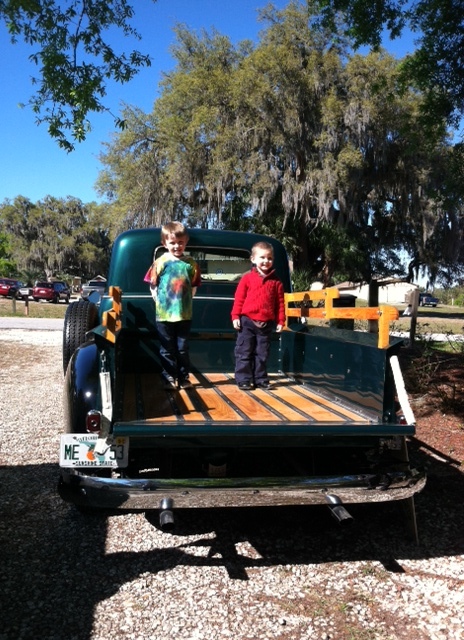 Garrett and Barrett had a blast riding in the truck. Garrett got up each morning and helped Papa feed the cows and the horses. Garrett and Grant own 7 cows together and so it is important for them to help take care of them when they are visiting Mimi and Papa. Florida was a lot of fun. It was actually colder in Florida than in Utah- crazy!! Now back in Salt Lake City…. 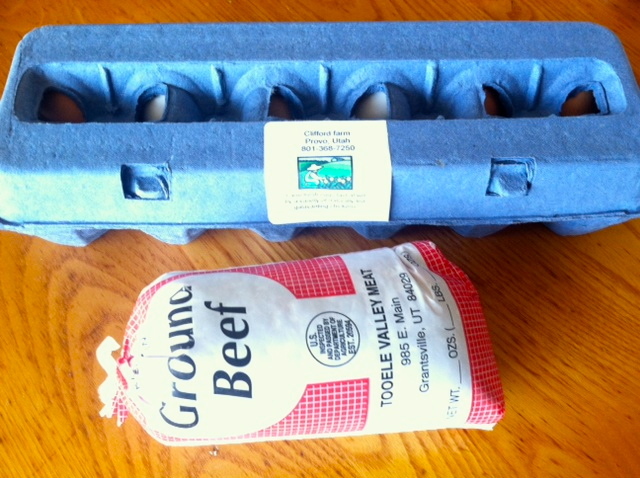 I found a farmer in West Jordan that sells Hormone Free Grassfed Beef. I ordered a 1/4 of a cow and just recently went to pick up the meat. I also buy eggs, raw milk, and pork from this farm. It is great so far. It is called Utah Natural Meat. I am so happy that I am back in business again! Getting more and more settled as I find local quality sources of food. 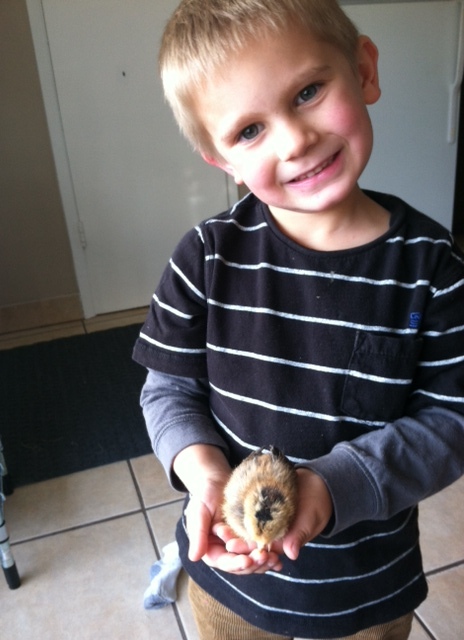 We have added a few little chicks to our kitchen. We are allowed up to 16 chickens in our county! We are just going to shoot for 2. I am living in the city on a 1/3 of an acre. The yard is beautiful and big, but I don’t want to push it with the neighbors. The kids love the new little girls. 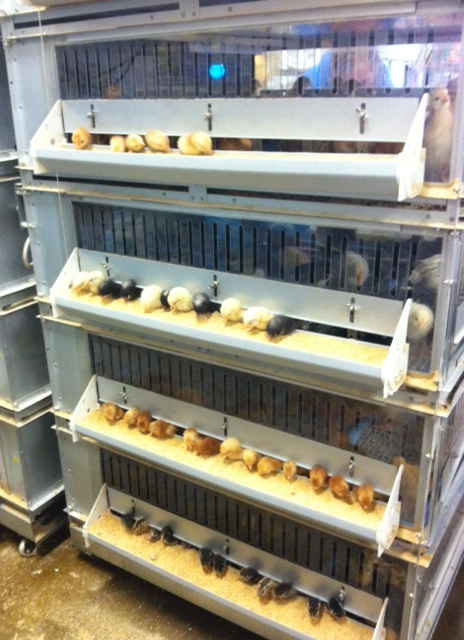 The weather is great and we let the little chicks out to get fresh air and sunshine each day. 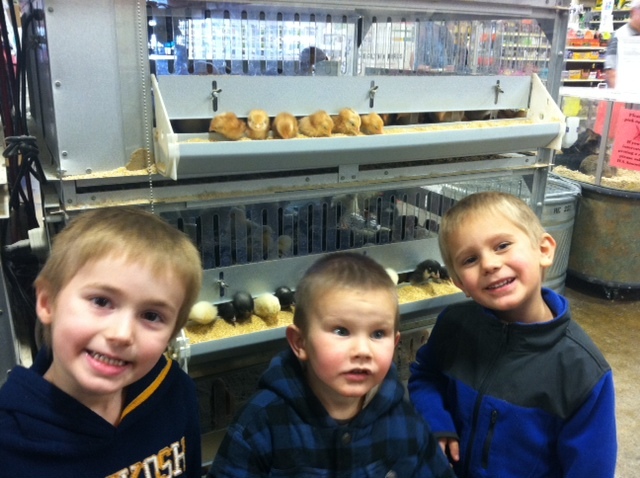 Checking out the chicks at the Intermountain Farmers Association. Love this store. New favorite for me and the boys! The boys feel right at home here. Great field trip! We will keep you updated on the chicks status. They love their little home here. 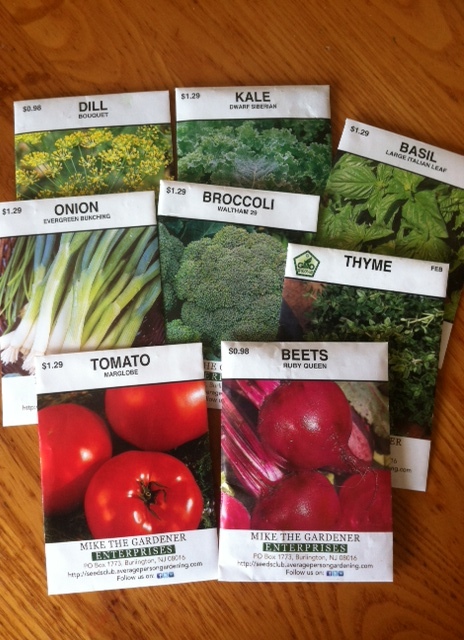 Finally, I am getting my gardening seeds out. The first things to plant for this climate and weather… the peas and the broccoli. I need to get going on them… probably tomorrow or Tuesday. There are a few great gardening beds in our backyard and I can’t wait to put them to work. The other seeds will have to wait until after Mother’s Day. 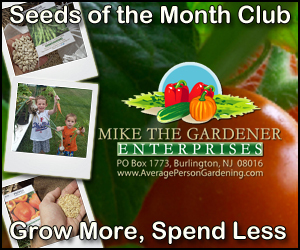 Thanks to Mike the Gardener! Check out his great Non-GMO seeds. It has been a little crazy around here, but it has been fun! After today, I feel like I may be getting more organized and settled. The boys are happy and they are getting to know all their Wirthlin cousins. Fun times.